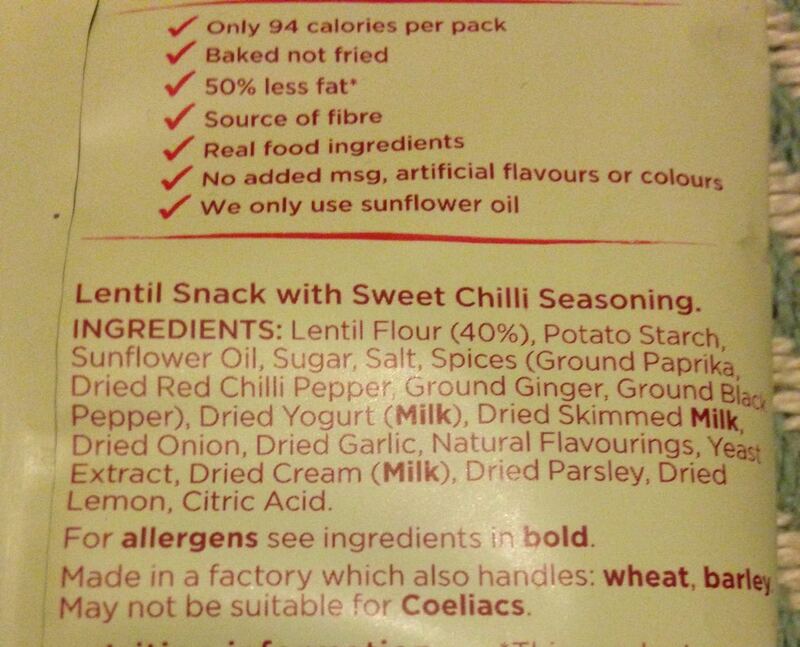 I’ve tried lentil crisps before and they usually appear to be a good alternative snack. 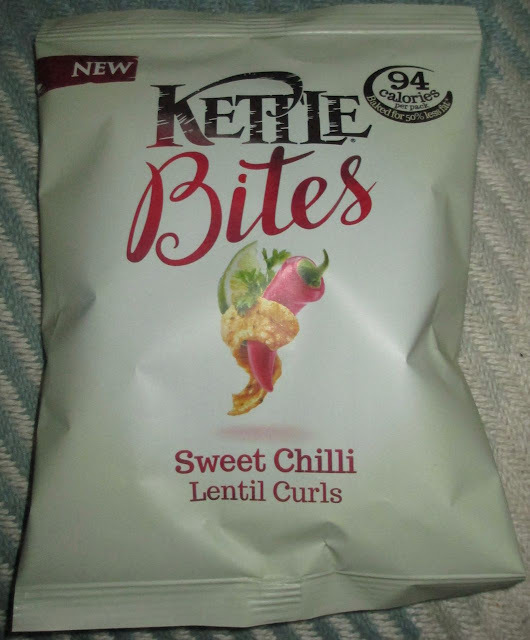 These new Kettle Bites Lentil Curls Sweet Chilli flavour sounded like a tasty treat. The image of a red chilli, parsley and lime wrapped in a lentil curl struck me as; this is predominantly what these lentil crisps will taste like. 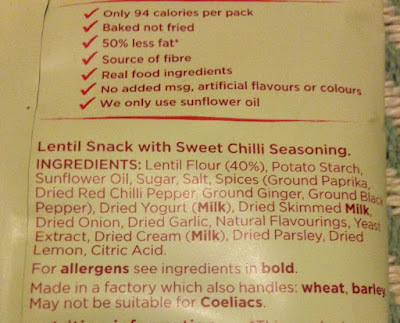 The packet sells itself as being super healthy too with only 94 calories per pack, the lentils being baked not fried for 50% less fat, and only cooked using sunflower oil. 22g packet has 94 calories, having 2.6g of fat, 1.1g of sugar and 0.5g of salt. For ingredients see photograph. The other flavour of Lentil Curls available is Mozzarella and Pesto flavour. 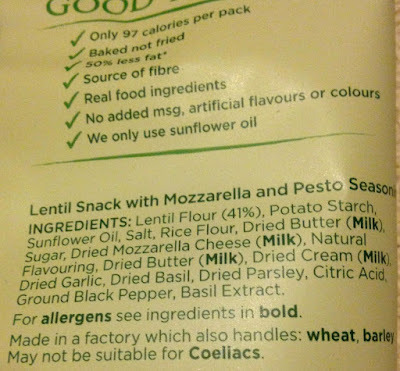 The packet sells itself in much the same healthy way, asides having 97 calories and the image of a ball of Mozzarella and some pesto wrapped in a lentil curl on the front of the packet. At first though on picking up the packet I believed these lentil crisps wouldn’t be very tasty. Mainly as I know that Mozzarella can be fairly mild in flavour. There was a sharp smell of pesto on opening the packet, followed by a mild cheesiness from the Mozzarella. 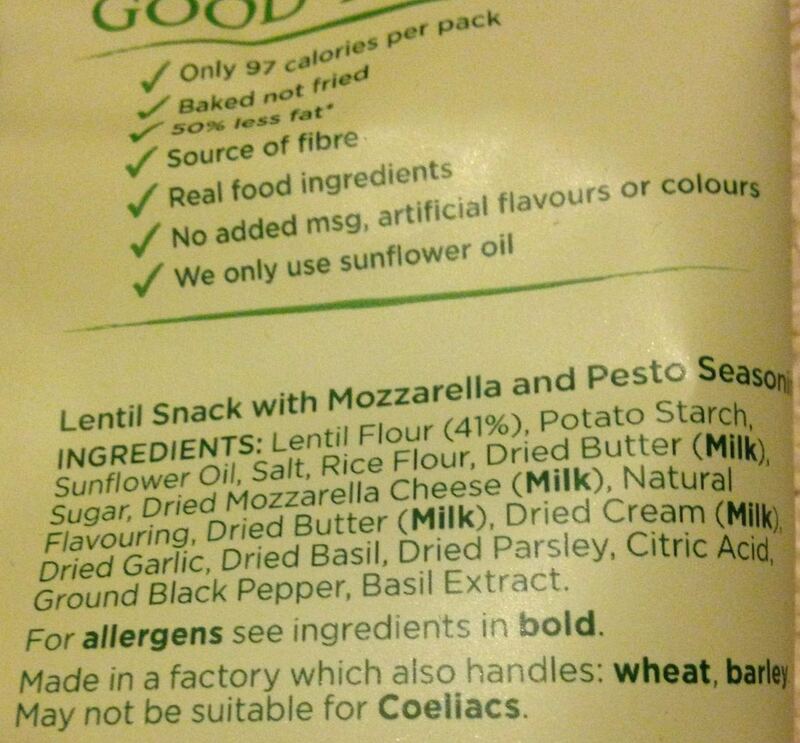 On taste these lentil crisps oozed pesto, which although very tasty pretty much overshadowed the subtler Mozzarella flavour. 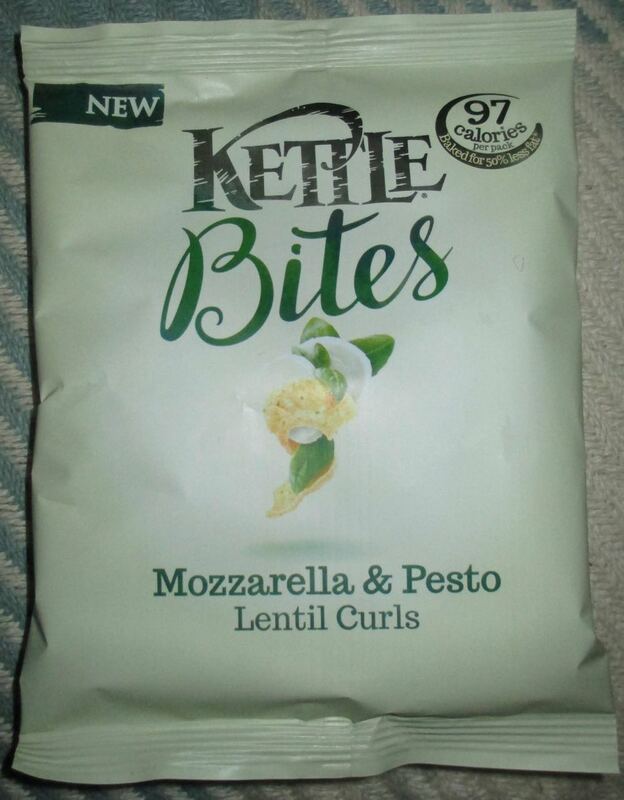 However, I did really enjoy these tasty healthy lentil crisps, but you really do have to like pesto! 22g packet has 97 calories, having 3.1g of fat, 0.6g of sugar and 0.4g of salt. For ingredients see photograph.